When it comes to shooting in 4K, many shooters previously had to rent a UHD camcorder because they were expensive. 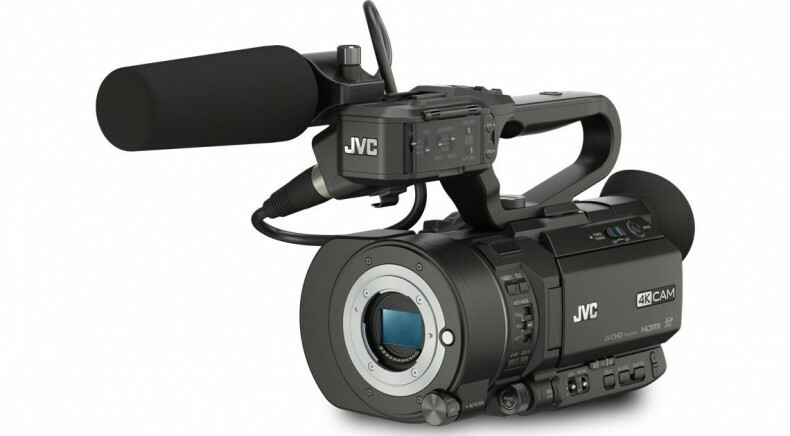 Now, there are several reasonable-cost UHD cameras available and this article will focus on one of them, the latest JVC GY-LS300 4K Super 35 camcorder. 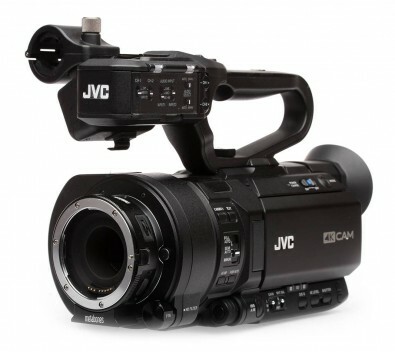 After several years of intense engineering, in 2015 JVC began shipping the GY-LS300 camcorder. (Figure 1.) The LS300 SD/HD/4K camcorder provides a cost-effective solution to a common dilemma. Independent shooters, to put food on the table, typically shoot with a traditional ENG/Event SD/HD camcorder. However, to accept what are currently infrequent 4K jobs, a 4K a camcorder has to be rented, a specialty 4K camera (e.g., a DSLR) purchased, or an investment has to made in a new camcorder that shoots all formats. Figure 1: JVC GY-LS300—ships without lens but with shotgun mic. I’ve spent the last few years working with this new technology. Mostly it’s been interesting and productive. 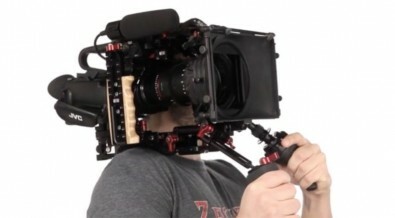 However, these non-traditional cameras are too often an ergonomic disaster. Shooting with them is a true pain. Engineering teams obviously focused on sensor chips and FPGA chips—not on camera design. For example, to save cost, menus control most every camera function. When shooting for paying customers it makes economic sense to shoot with a traditional compressed codec rather than one of the flavors of RAW. It simply takes too much time and labor to “grade” digital monochrome digital data into color images that comprise but one of hundreds of clips to be used in an edit. The GY-LS300 makes these investment dilemmas disappear. The LS300 is a lightweight (3.75-pounds with battery), compact camcorder that can be handheld or mounted on a shoulder baseplate such as the one from Zacuto shown in Figure 2. One can, with a minor learning curve, immediately begin shooting 4:2:0 sampled 480i59.94 or 1080i50/59.94 to AVCHD files that are supported by virtually every NLE. Also industry standard—a full set of image control functions that enable you to match cameras and/or create a “look.” See my article where I discuss controlling knee, gamma, and a camera’s color matrix. The GY-LS300 provides industry standard audio capabilities: dual XLR jacks, audio routing switches, the ability to select different levels of audio attenuation (don’t look for this function on a DSLR), and manual level controls. (Figure 4.) These capabilities come via a removable handle that also provides a mount for the included JVC shotgun microphone. Frame-rate options for 4:2:2 chroma-sampled HD are the same as those for 4:2:0 video. The 4:2:2 files are encoded at 50Mbps and carried within a QuickTime .MOV wrapper. (The option of 100Mbps would be ideal.) The LS300, of course, also supports 4:2:0 sampled UHD (23.98p, 25p, and 29.97p) at 70Mbps or 150Mbps. (The option of 200Mbps would be ideal.) Here too the encoded files are carried within a QuickTime .MOV wrapper. The LS300 has several powerful “web” tools. 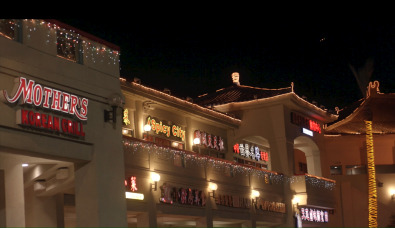 While shooting a second SD card can record proxy video to be uploaded to a news bureau. (The FALCONBRID II chip can encode two streams at the same time.) The camera itself can be controlled by IOS or Android apps. I’ve used both functions on a JVC GY-650 and they work well. The LS300 adds a capability I once used in Asia with a smartphone—stream live to Ustream. The LS300 can stream 1280x720 and 1920x1080 to Ustream and YouTube at 8Mbps and 12Mbps, respectively. The second part of this two-part report will focus on digital cinema production. From this point onward I’ll cover three topics: lens options, the Super 35 sensor, and the camera’s Virtual Scan Mapping function (VSM). Figure 5 shows the GY-LS300’s active MFT lens mount. The camera can, with a suitable lens, control four lens functions: aperture, focus, zoom, plus enable/disable lens-based OIS. It’s important to remember that when we talk about, for example, a Super 35 lens we are not concerned about whether it has an integral MFT mount or is mounted to the camera by an adaptor. All that’s of concern is the size of the image circle projected on a sensor. The LS300 sensor comes from AltaSens, a sister company of JVC. The CMOS sensor has a gross resolution of 4512x3008-pixels (13.57 megapixels) with a 3:2 aspect ratio. AltaSens specifies the sensor’s diagonal to be 28.20mm. As you change the VSM setting, the capture window size is adjusted thereby creating a small set of “virtual” sensors. (Figure 11.) As you toggle through VSM settings you’ll encounter three information types. Window Ratio—in percent, this is the ratio between the current VSM capture window’s diagonal and the sensor’s 26.72mm diagonal. The larger the capture window the larger the ratio. At 100%, the window is a match to lenses designed to be used with Super 35 sensors. As you set VSM to lower ratios, the capture window becomes progressively smaller and thus becomes a match for lenses designed for smaller sensors. What may not be obvious is that as the capture window becomes smaller it includes fewer photosites thus decreasing capture resolution. The decrease in resolution as VSM is dialed down is measurable (www.slashcam.de/artikel/Test/JVC-GY-LS300---verkanntes-Multitalent-.html). When VSM is set to 86%(4K) the capture window’s diagonal is 23mm (86-percent of 26.72) and has a resolution of 3840x2160-pixels. (Figure 12.) At settings below 86% captured resolution is less than 3840x2160 which, with the camera set to record UHD, requires capture window contents to be upscaled to UHD. Capture Resolution—Since you select the recording resolution, why does VSM notation include this setting as part of the VSM notation? As we’ve learned, 86%(4K) creates a 3840x2160 capture window. When recording UHD, if you set VSM to 86%(4K) there will be a 1:1 transfer of capture window contents to the camera. When the VSM notation includes a resolution value, C4K, 4K, C2K, or HD, no scaling is employed. Figure 14: In what way does the lens “not perform optimally”? My solution—when recording UHD with an MFT lens, I select 86%(4K). This selection, midway between 80%(MFT) and 89%, provides a 3840x2160 capture resolution which 80%(MFT) does not. The setting also avoids making the capture window too large, as does 89%. It may seem odd this setting dilemma occurs when an MFT lens is used on a camera with an MFT mount. The oddity becomes less so once one realizes there is no issue with MFT lenses when one is shooting SD, HD, or C2K. The oddity disappears when one understands that for those who shoot C4K and UHD, the MFT mount is simply a way of attaching a lens which more completely fills the Super 35 sensor. APS-C—When shooting 16:9 video with an APS-C lens, the lens projects a 22.2 x 12.5mm image on a sensor with a 25.5mm diagonal. At the 97% VSM setting, the LS300’s sensor’s capture window has a diagonal of 26mm and a capture window resolution of over 10Megapixels. You should consider shooting with APS-C lenses to obtain maximum UHD quality. By using an EF-to-MFT adaptor, Figure 15, Canon EF lenses can be used by an LS300. Full Frame—VSM is designed to work with lenses that project an image equal to, or smaller, than that projected by a lens designed for Super 35 cameras. Therefore, if you mount a 35mm Full Frame lens on an LS300, cropping will result. (Figure 16.) The focal length of the lens will appear to be 1.5X longer—a crop factor of 1.5. A 50mm FF lens will have an angle-of-view equal to a 75mm lens. To avoid cropping, attach the lens using a focal-length reducer such as a Metabones adaptor. (Figure 17.) It will reduce the focal length by a factor of 0.71 that will result in the lens acting as though it had a 53mm focal length. As a bonus your lens will gain a stop of sensitivity. Figure 18 shows my Nikon F1.8 lens at work in Vegas. Digital Cinema Production—Media shot for productions that will be digitally projected in a theater are shot at either 2K (2048x1080) or 4K (4096x2160), which JVC calls C2K and C4K. The GY-LS300 supports both cinema resolutions. And, unlike when shooting other formats, C2K and C4K can be shot at 24.0fps. When shooting 2K video, Super 16 lenses are an interesting choice. (Figure 20.) You can shoot 2K and record 4:2:2 video at 50Mbps (QuickTime) or 4:2:0 at 50Mbps (XHQ). HD, FHD, and SD—When shooting SD, HD, or HD+WEB video, the AltaSens chip has the ability to support 2x1 on-chip binning. Binning enables sensor read-out in half the time thereby enabling 120fps. JVC will support 120fps in an April firmware release. When recording HD (1920x1080), FHD (1280x720), or SD (720x480) the capture window is scaled appropriately. Even when VSM is set to the minimum 43% ratio, capture resolution is adequate for HD video. When you select a recording resolution, attach a lens, and set VSM, a single mapping function is computed. What would happen, with a prime lens attached and the recording window size fixed, were the VSM ratio decreased over time? At a large ratio, the full image falling on a sensor is captured. As the ratio becomes smaller, the capture window size becomes smaller thus capturing smaller portions of the image. The second part of this two-part report will focus on digital cinema production using the GY-LS300’s J-log gamma.